Prime Ministers Questions (PMQ’s) from the British Parliament has a global audience, so the reputation of the nation as projected by Theresa May and Parliament is at stake. Mrs. May humiliated the entire nation when she went back on those solemn promises and sent a request to the unelected President of the European Council, Donald Tusk, begging for an extension to Article 50 delaying the promised departure until the 30th June 2019. After two years of supposedly complex negotiations Theresa May’s Withdrawal Agreement and Political Declaration is a surrender document that leaves Great Britain in a worse position than if it remained a member. According to the Agreement for the extendable two year ‘implementation period’ Great Britain will remain subject to the rules, regulations and diktats of the European Union with no representation in the institutions that produce them and will remain subject to the jurisdiction of EU Court of Justice. This is the humiliating ‘vassal state’ status that will be bestowed on the British people by this long-predicted Brexit-in- name-only deal. 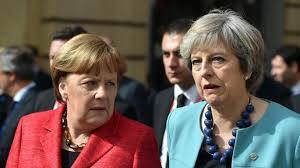 This so-called deal was designed in secret by EU bureaucrats, in conjunction with British Europhile civil servants, then approved by the German Chancellor, Angela Merkel, before being given to Theresa May to steer through the British Parliament. This has been rejected by a Europhile Parliament who have also rejected leaving under World Trade Organisation (WTO) rules which in effect prevents the clean Brexit that the people voted for in the 2016 referendum. It is worth reiterating that Parliament is overwhelmingly Europhile and it is using every means possible to sabotage Brexit and keep Great Britain locked inside the European Union against the will of the people. Mrs. May and Parliament should have realized by now that the European Union is set on a course for full integration and to that end it does not negotiate or compromise. In exchange for an extension and delay it will demand conditions even more humiliating than those in the Withdrawal Agreement in addition to billions more in contributions. 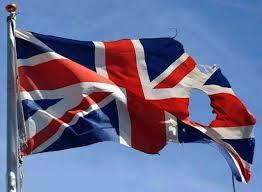 There is a glimmer of hope for the long abused and humiliated people of Great Britain. To agree an extension to Article 50 and delay Great Britain’s departure from the Union requires unanimity of all 28 nations on the European Council. There are indications that both Italy and Hungary intend to veto the extension which would mean that Great Britain would leave as scheduled on the 29th March 2019 with or without an agreement. To be concise, the survival of Great Britain as a sovereign, self-governing nation is on the shoulders of Giuseppi Conte of Italy and Viktor Orban of Hungary. Not only Conte and Orban, but Andrzej Duda of Poland as well. It would be great to see all three nations stand against the One World Government treason. The EU tyrants will bully, threaten and blackmail these leaders in order to impose their will. I hope they have the fortitude to resist. Those EU tyrants are merely doing the bidding of their Davos and Bilderberg owners. The stench of Soros runs deep. The tribe intends to get their One World Government "utopia". BAMN. As they already showed with those 50 million broken eggs during the Russian revolution. We can add the UN to the Davos/Bilderberg crowd and yes, the stench of Soros is never far away. One broken egg is a tragedy 50 million is a statistic. They don't worry about numbers in their quest for power. 22.3.19 - They let us down and we now have another extension. I voted to Leave and I would now prefer No Deal. The truth is that Theresa May is a life-long Europhile and had no intention of delivering Brexit. Leaving under WTO rules was always the only option that takes us out totally. Ignore the manufactured hysteria, there is nothing to fear from WTO rules. That's why they wanted it taken off table so urgently. Unless May is removed I fear Brexit will be lost and all hell will break loose.